He’s great at shooting up aliens in games – but can he do it for real? YouTube hero Ali fights a digital threat that’s escaped into real life! In this storming graphic novel, it’s launch time for the hotly anticipated video game Alien Liberator 2. 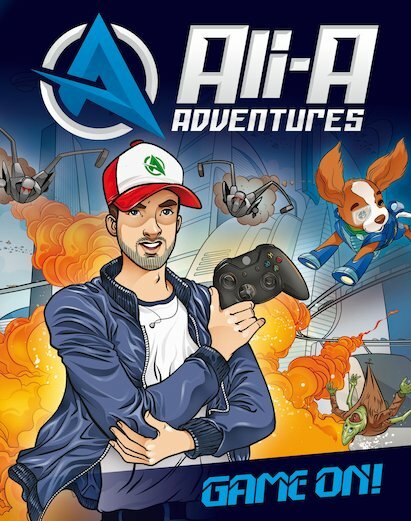 So who better to invite than top gamer Ali-A? Ali is promised the biggest game launch ever – but what he doesn’t count on is just how real the action will get! When a merciless band of aliens turns up to spoil the party, Ali must transform from gaming icon to real-life hero. Can he take down the aliens, win the boss battle and save the day?